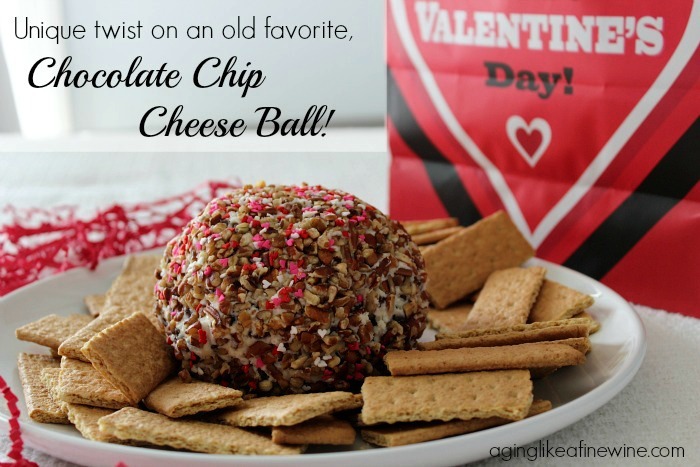 Chocolate Chip Cheese Ball, new twist on an old favorite! 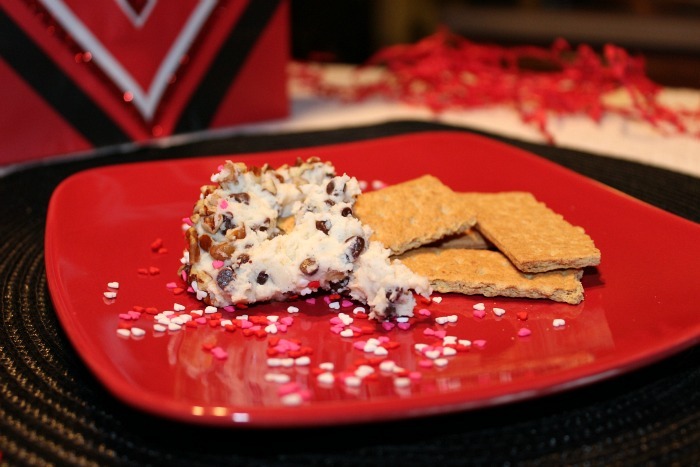 Does your Valentine’s Day plan include making a delicious meal or snack for that special someone in your life? 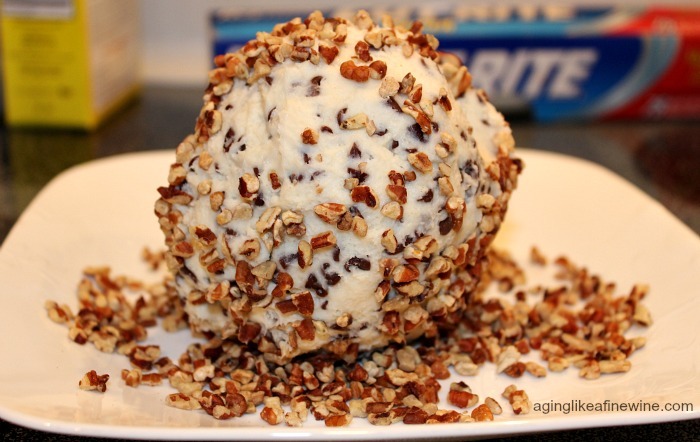 If so, this Chocolate Chip Cheese Ball recipe is something you’ll want to add to your menu! It’s definitely a unique twist on the old favorite and I think it’s one you’ll like! It’s easy and delicious, and for me. easy is always a plus! It’s quick to mix together, but does require some time to sit in the fridge, so plan accordingly. 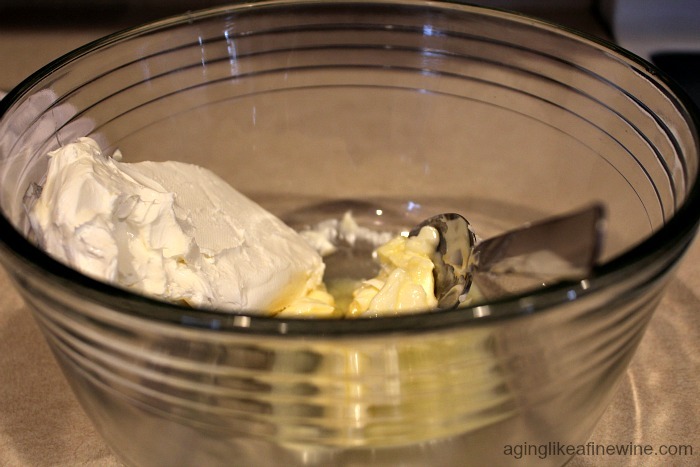 In a mixing bowl, beat the cream cheese, butter and vanilla until fluffy. 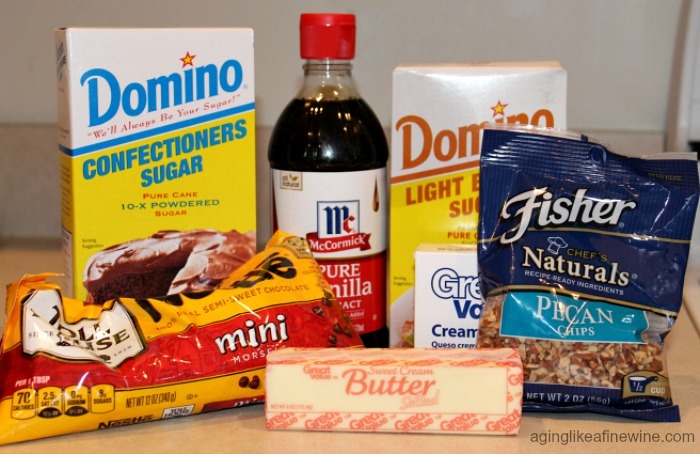 Gradually add sugars; beat just until combined. 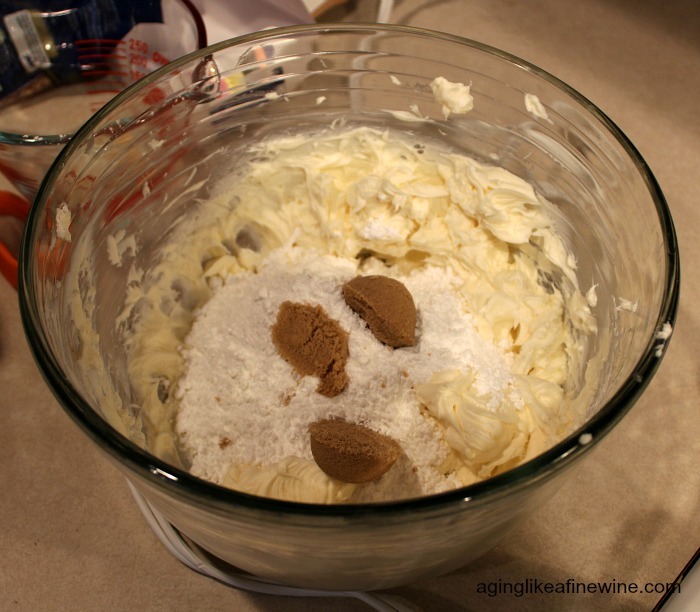 Remove from fridge and place cream cheese mixture on a large piece of wax paper. 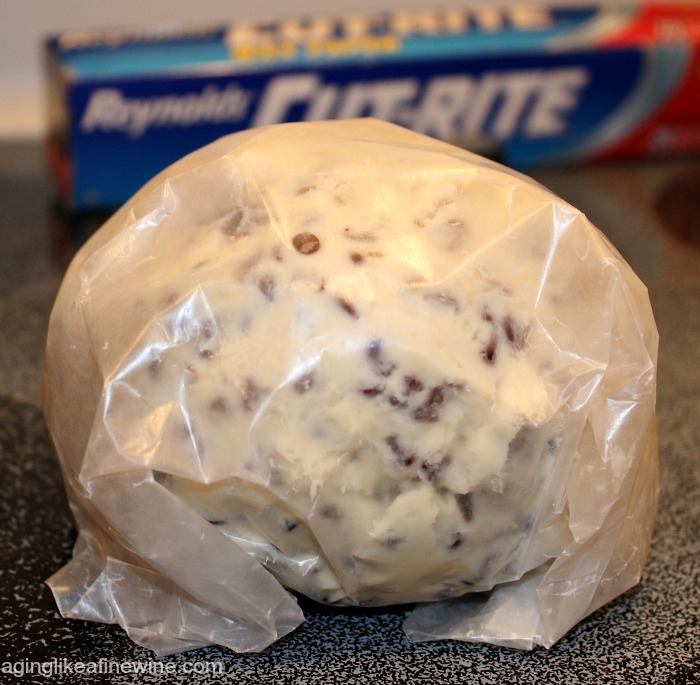 Wrap ball in the wax paper and refrigerate for at least 1 hour. Butter and cream cheese mixed and sugars added. Shaped into a ball, wrapped in wax paper and back into the fridge for an hour. *If you don’t like pecans, you can substitute chocolate chips by placing half of the chocolate chips in the cheese ball and then roll the cheese ball in the other half. 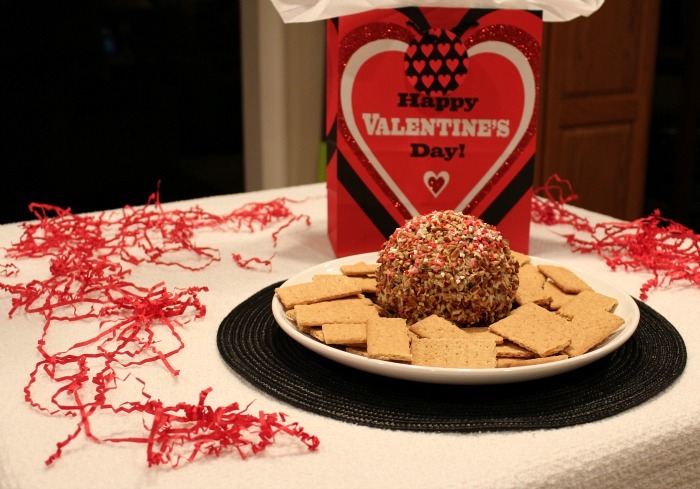 Because this cheese ball is for Valentine’s Day, I added a few small red and pink heart sprinkles to the top for a little extra pizzazz! This is a quick and easy dish to take to an office luncheon, church potluck or family get together. My grandchildren are picky eaters and I wasn’t sure if they would like this or not because of the cream cheese, but it was a hit with them! 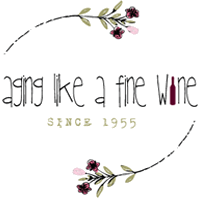 Enjoy it with your family and friends soon! 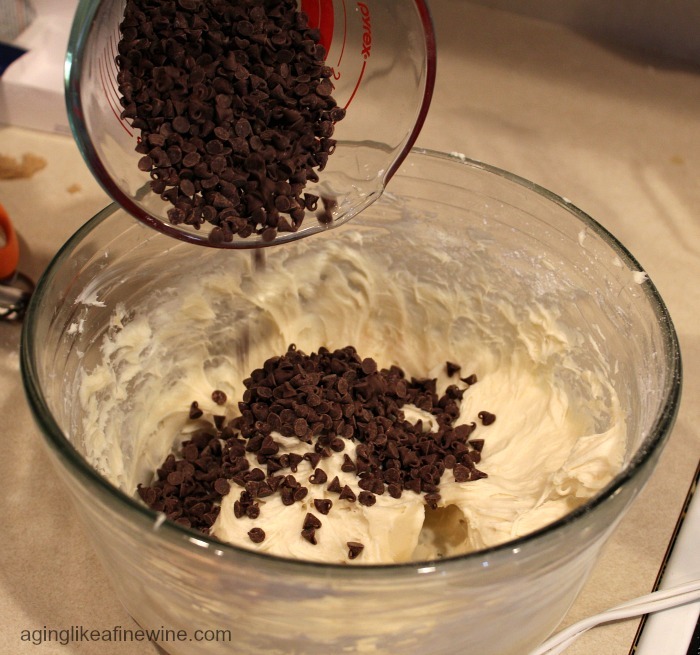 Click here for a printable version of the Chocolate Chip Cheese Ball recipe. It is surprisingly good! Once of those things you keep sneaking back in to! Thank you for commenting.